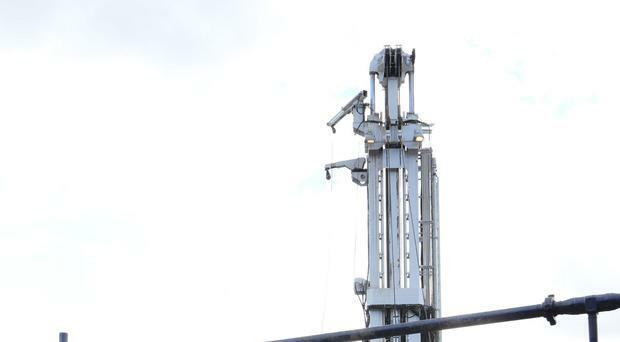 A leading steelworkers' union has backed plans for fracking, saying it could boost the steel industry and support thousands of jobs. Community signed a partnership agreement with UKOOG, the body that represents the UK onshore oil and gas industry, to promote domestic production of oil and gas. The agreement says the UK will have a key role in securing future energy supplies and create skilled jobs. Community is affiliated to the Labour Party, which has a policy of scrapping fracking if it wins the general election. Ken Cronin, chief executive of UKOOG, said: "The UK currently imports 50% of its gas needs, and is forecast to increase to 75% in the next 15 years, costing the UK £10 billion a year. "Importing gas across continents and oceans by tanker also has a serious environmental impact compared with producing it in the UK. "We are looking forward to working with Community to provide the public with affordable, home-grown energy and give them the confidence that the industry works in a safe, transparent and environmentally responsible manner." Roy Rickhuss, general secretary of Community, said: "As the union for steelworkers and many other traditional manufacturers, our mission in working with UKOOG is to ensure that UK industry has stable, reliable and affordable energy sources as well as providing job security and maintaining the highest possible levels of health and safety across the sector. "The future development of home-grown oil and gas has the potential to support thousands of jobs through its supply chain, including in the steel industry, as long as it is part of a joined-up industrial strategy for the UK. "We look forward to working with UKOOG as this vitally important industry continues to develop."